Cannes to go ahead with TV series festival? Could a TV series festival one day rival THE movie festival? It seems perfectly logical: Cannes hosting a festival dedicated to TV series. They are, after all, arguably the most innovative form of filmed entertainment and Cannes is THE city for media festivals and markets. Yet since 2011, Cannes has been unable to get official approval from the French ministry of culture. Now mayor David Lisnard is threatening to go ahead with it anyway. His idea, which makes perfect sense, is to associate the series festival with the MIPTV market, the foremost TV market held every year in Cannes. But a project for a similar event has been in official hands for a number of years, with towns such as Nice, Lille, Bordeaux and Paris competing to host it. What he could also mention is that a festival of this nature would probably get the support of the worldwide industry for a very simple reason: they are already in Cannes for MIPTV. It’s worth remembering that the Festival de Cannes’ continued success and relevance is also due to the fact that it coincides with the foremost movie market, le Marché du Film/Film Market. 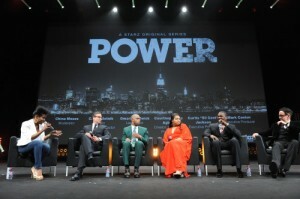 The producers and talent often attend premieres to the business at MIPTV. It makes sense for a more public festival to celebrate the best in the profession there as well. The French Ministry of Culture has just announced (January 12) that it is favour of organising the event in Paris and Lille rather than in Cannes. https://t.co/oYD9bdUqLY. It said notably that the Cannes proposal “had weaknesses from an editorial point of view”.